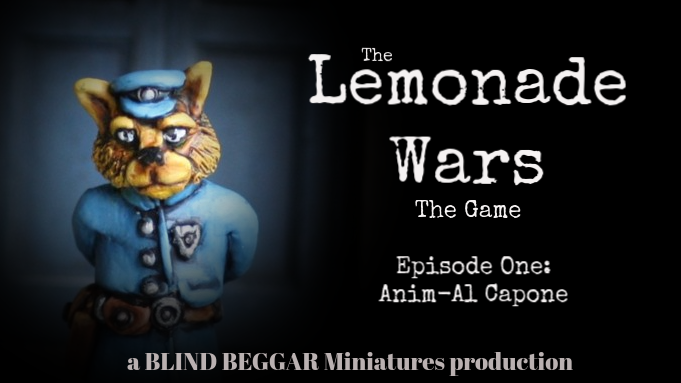 The Lemonade Wars: The Game. Just for a change I thought that it would be nice to make something completely FREE for a change, so that is what is going to happen with the rules for Lemonade Wars. The rules themselves will be posted up on the Blind Beggar website, free for anyone to take a look at and give them a go. They are being posted up slowly as time permits with, hopefully, something new added every day until they are complete. 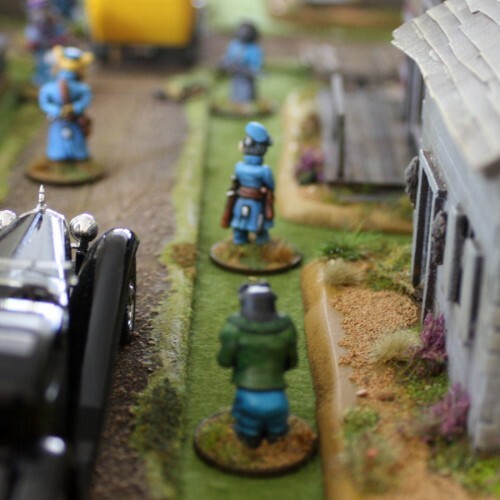 The aim is to have a fully playable version of the basic rules posted by the time the Kickstarter campaign ends. The added bonus with this idea is that there should never be any need for an errata as changes and alterations can be made as and when they are necessary. They will also function as a 'living rulebook' which means that they can be altered and improved at any time with no additional cost to anyone. Also this means that suggestions for improvements are welcomed as these changes can be implemented at any time if deemed suitable. There is only a few pages on the site at the time of posting this but that will grow over the next couple of weeks until they are all up there. 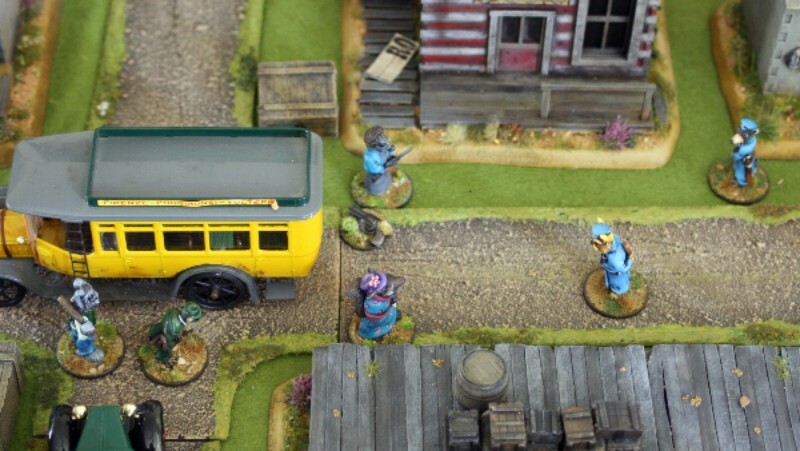 We got a couple of games in last night to test out the combat rules. 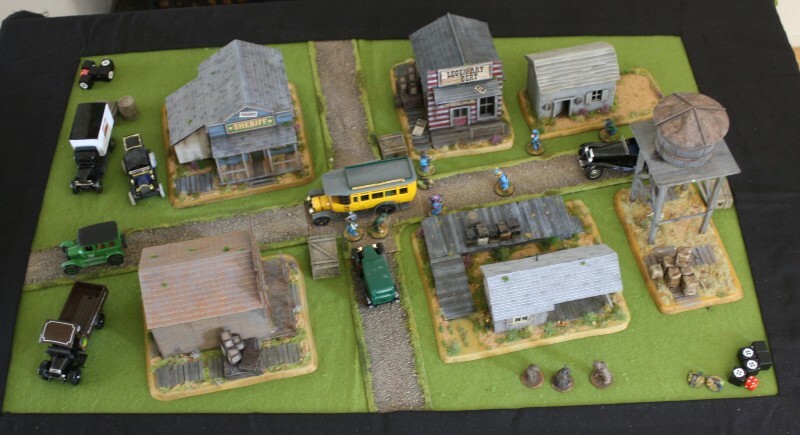 Dusted down the Old West scenery to represent a more rural area of the United States of Animalia…. I shall sort out some more pictures later. Last night we put the combat rules for Lemonade Wars to the test with a few starter sized games to check the balance of everything. The table was set up to represent a more rural encounter utilising a few buildings from the Old West scenery collection and some 1:43 scale cars to help set the scene. The figures have been made with this scale of die-cast in mind. The Beat Cops move in on the suspect who appears to be carrying a shotgun. 'This young lass may be up to no, good, I reckon…' said Officer Tiddles. Little do they know that they are being followed by a Mole Thug, who is getting dangerously close with those claws! 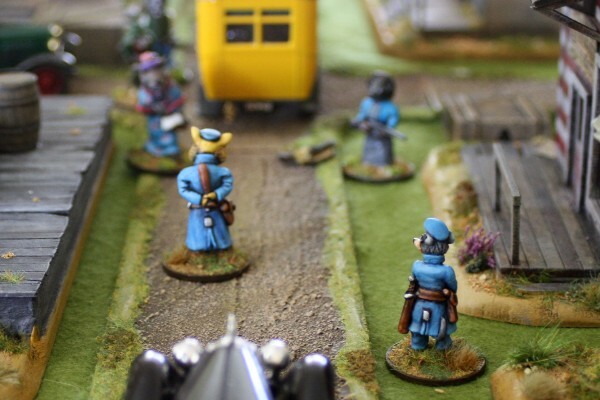 So long as could keep them in sight, that was…..
With poor old Ida Goodnose caught up in the middle of it all! The Lemonade Wars have begun! 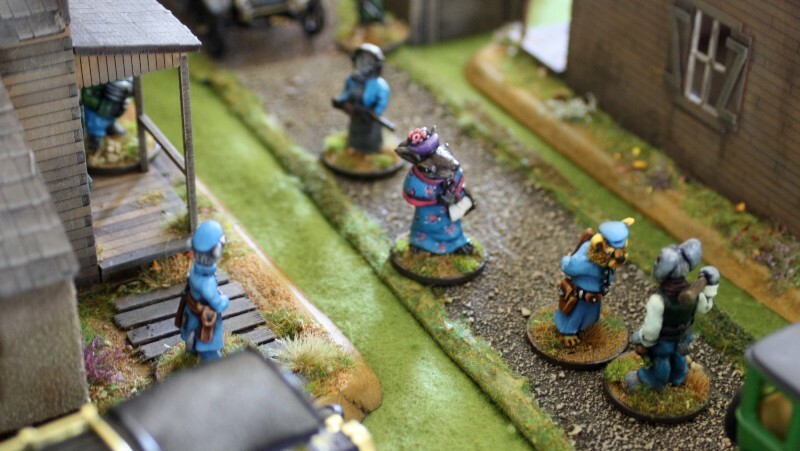 Pictures of the miniatures that make up The Law Faction….